As a rural new-build development, Classlochie Farm by Loch Leven suffered from unfortunate timing. aim to make Scotland a worldclass digital nation by 2020 - began planning for its Superfast Broadband programme. So when 12 new homes were built beside the two original properties, the new village found itself in the five per cent of Scotland with no solution planned or being explored. into other ways to get connected. In the end, a community fibre partnership (CFP) approach through Openreach provided the best outcome, with private connections in to each individual home and freedom to choose from a range of suppliers. There would also be no ongoing maintenance of a local network with the CFP being “fund and forget”. With the new fibre network in place, everyone in Classlochie Farm has taken up a fibre connection – with half opting for ultrafast speeds of up to 330Mbps and half going for 76Mbps. "Now we’ve been enjoying ultrafast broadband, it’s clear there have been tangible benefits for every single stakeholder – from increased productivity and sales for businesses run from home to enjoying ultra-high definition video content. And it’s had an impact on every family." Said Andrew. Gigabit capability puts the small rural community of Classlochie in the fastest 2-3 per cent of premises in the UK. The partnership with Openreach has also led to a significant investment in wireless broadband for others in the area, and the very exciting prospect of a £300k investment in a 5G mobile testbed at Loch Leven. The point-to-multipoint solutions, means they can connect those within line-of-sight over 5 to 10 kilometres at superfast and ultrafast speeds. On the back of this, a new Department of Culture, Media and Sport 5G testbed project is being planned for the area. The project will bring in key local stakeholders to the 5G consortium, including: Perth & Kinross Council, Historic Environment Scotland, Kinross Estate, Scottish Natural Heritage and the RSPB. They’re aiming to create an ultrafast (>100Mbps) free visitor wi-fi experience and service across a wide Loch Leven tourism and recreation area. 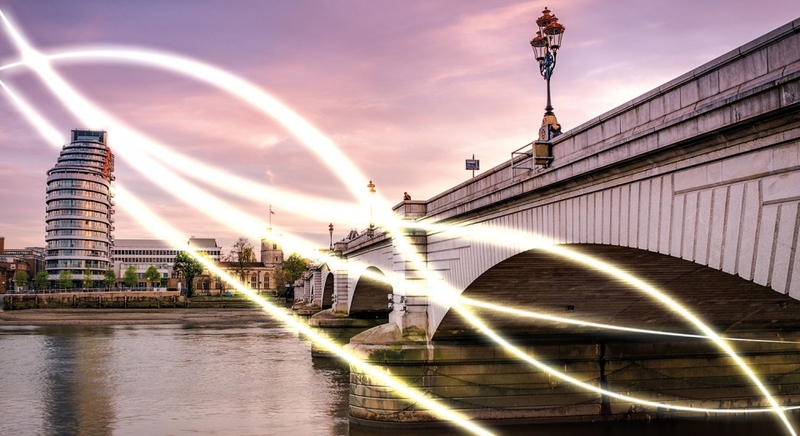 So from being an isolated not-spot, Classlochie is now an ultrafast hub – extending the benefits of high speed connections to the surrounding areas. When Stoneraise primary surveyed parents and teachers to find out what one thing would make the biggest difference to the school, the response was clear: better internet! The problem was, getting a good connection wasn’t easy. The school sits in the tiny village of Durdar on the southern rural fringe of Carlisle – over five kilometres from the nearest exchange. Head teacher Clem Coady and school governor Toby Clements had tried everything to boost the school’s broadband connection over the years, but nothing really worked as well as they’d hoped. Then Clem and Toby read about the Community Fibre Partnership scheme and got in touch with Openreach. An initial survey revealed that, although the current exchange was too far away to be financially viable, there was a newly enabled cabinet just a kilometre away that could provide a way to patch into the fibre network. When Openreach engineers confirmed that it could work, it was all systems go. The school benefitted from a Community Fibre Partnership grant of £20,000 so could meet the rest of the bill from its budget. As a pure fibre connection, the new connection provides speeds of up to 330Mbps. And it’s transformed every aspect of the school. “It is phenomenal,” says Clem. “I can’t describe how much it has transformed the day-to-day running of the school. “Before, if you had a class of 30 kids involved in some internet-based learning, the rest of the school ground to a halt. The office would struggle to send emails, teachers couldn’t complete assessments and videos were constantly buffering. Internet-based learning is a huge part of a successful modern school. Streaming video makes it easier to demonstrate complex concepts while online portals for assessment and homework bring a whole new level of insight or teachers. As well as making things more fun and interactive in the classroom, the high speed connection has had just as much of an impact behind the scenes too. Admin and finance tasks can now be done online, helping things run more smoothly and efficiently. And being able to video call has saved time that would have been wasted travelling to meetings or having to work from home. “I link up with other head teachers regularly and the new superfast connection has made it so much easier,” explains Clem. “I can save an hour a day by joining video calls from the office – instead of having to travel to meetings or work from home. For more than a decade now, Business Improvement Districts (BIDs) have been working to achieve growth and prosperity for city centres and other commercial or industrial areas up and down the UK. A BID is an arrangement where businesses operating in a defined area get together to fund and run projects that improve their environment. The nature of these projects varies. However, many BIDs are recognising how a faster broadband connection can underpin their growth strategies. The action Sutton Coldfield took was to begin working closely with Openreach through its Community Fibre Partnerships programme. The partnership was successful in creating a superfast network to benefit the whole community. Recognising how vital it is to have high quality connectivity, Sutton Coldfield BID went on to work with Openreach to install fibre across the town centre. businesses had been at the mercy of slow broadband speeds – a situation that was all at sea with the city centre’s plans to become a more vibrant and attractive place for shoppers. Openreach, through its Community Fibre partnership programme worked with the Cardiff BID committee to create a business case to invest in fibre installation. The committee quickly became clear about the benefits that fibre connectivity would bring to the shopping centre and how it would support the BID’s major ambitions for Cardiff. There are some things you have to accept when you live in London. Rush hour pandemonium, coffee shop confusion and eye-watering prices for a start. But it’s balanced by bucket loads of culture on the doorstep, global cuisine on every street and fantastic broadband coverage. So when residents on one Putney road discovered they’d been left behind in the superfast roll-out they couldn’t understand why – and decided to take action. John Kingdon, local resident and broadband campaigner. 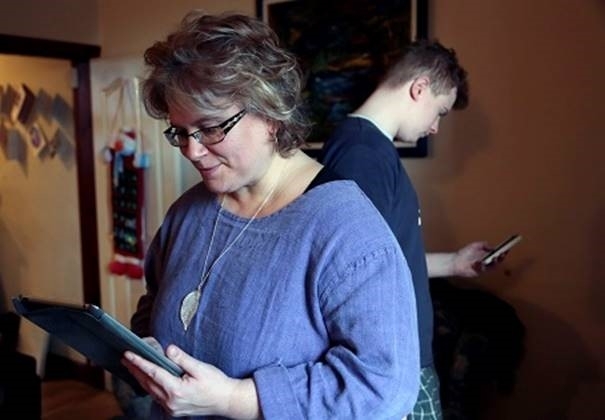 With most of the information on extending fibre focused on rural communities in far-flung corners of the country, it seemed for a long time that this little pocket of Putney would fall between the cracks. With an Openreach Community Fibre Partnership advisor on board, John was able to get the answers he needed. And then the hard work started. John had to find out who was affected, and how much it might cost to get fibre in. Initial estimates suggested a figure of about £30,000 as the average needed to get a fibre infrastructure installed. With just 44 homes in the street, that meant quite a big investment for each household – and no guarantee that everyone would be on board. With support galvanised, Openreach arranged for an engineer to survey the current set up and provide more details on a proposed solution. This was when thing really started to look up. The biggest challenge has been organising the residents and getting a commitment. But a series of letters, meeting and online surveys confirmed that the vast majority – 39 out of 44 – were willing to contribute to get fibre in place. Now, with the contract signed and planning in progress, John and his fellow residents are itching to get the work done. It takes a minimum of nine months from contract to connection but John is sure it’ll be worth the wait. “It will be absolutely and completely life-changing to people on the street to have a direct fibre broadband connection. We’re going to see a massive increase in upload and download speeds. People will be able to shop around for the best deals from a whole host of suppliers – so we’ll be getting a vastly improved, more reliable service for the same price we pay now for a patchy slow connection. Chris, who works as an entrepreneurial property developer, determined that he would need to hire in two sub-contractors to do the digging - one to carry out open field digging and the other to dig roads and soft verges, using a small machine digger. 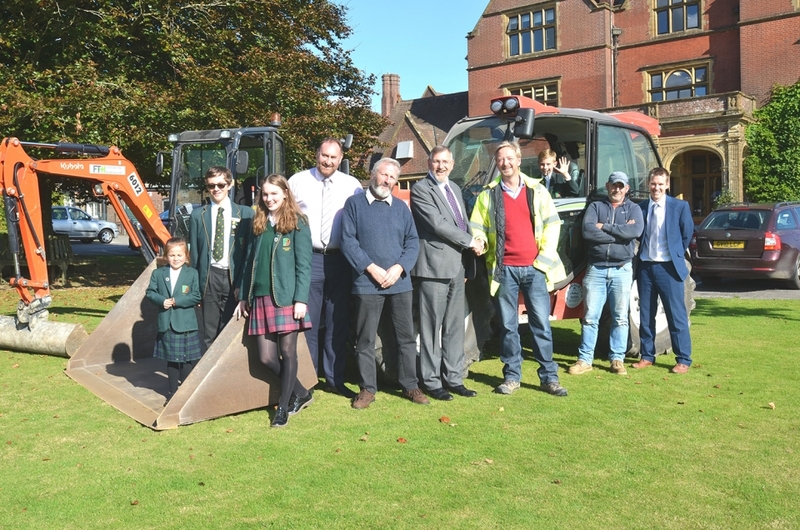 As the project was co-funded by Ditcham Park School, they were understandably overjoyed to receive the BT Schools grant to partially fund the self-dig project. “Just like Openreach, Ditcham Park School was incredibly supportive of the proposal,” said Chris. The School had to find a way of getting better connected, and this proved to be by far the best and most affordable way to get it done. When it comes to the perfect place to live, it used to be ‘location, location, location’. Now it’s ‘connection, connection, connection’. And thanks to a great effort by the local community, Northumberland village Eshott has the best of both worlds – an idyllic country setting coupled with superfast fibre broadband. But that wasn’t always the case. 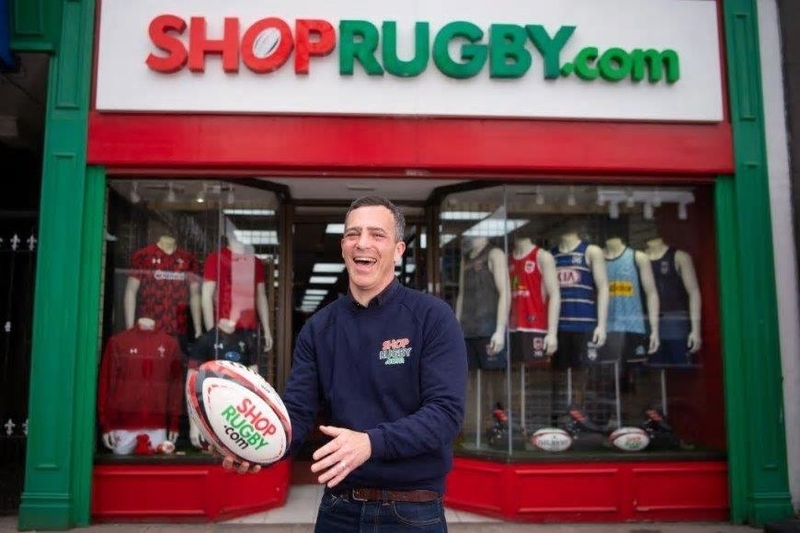 In fact, with a growing family and business to run, Andy regularly drove to the nearest town just to get a connection. Unfortunately, the village’s isolated location made upgrading the local network a real challenge – and there were several false starts before things fell into place. needed. It seemed that fibre might never make its way to Eshott until Andy stumbled on a potential solution right on his doorstep. And the community decided to take things into their own hands. With a fibre infrastructure tantalisingly close to the village, the residents approached Openreach, BT Group’s infrastructure arm, which sent engineers to survey the area and see if a community funded approach was viable. After a period of surveying and planning, Openreach agreed to build new fibre optic cabling and Fibre-to-the-Cabinet (FTTC) technology to the village under a joint funding arrangement. The upgrade gives more than 40 homes and businesses access to broadband speeds up to 50 times faster than previously available. From getting the green light by Openreach and putting down the deposit to going live with fibre took about 18 months as issues with wayleaves and access were overcome. And has it all been worth it? Within two weeks of becoming available, nearly 75 per cent of homes in the village had gone superfast. And nine months later that figure about 95 per cent. 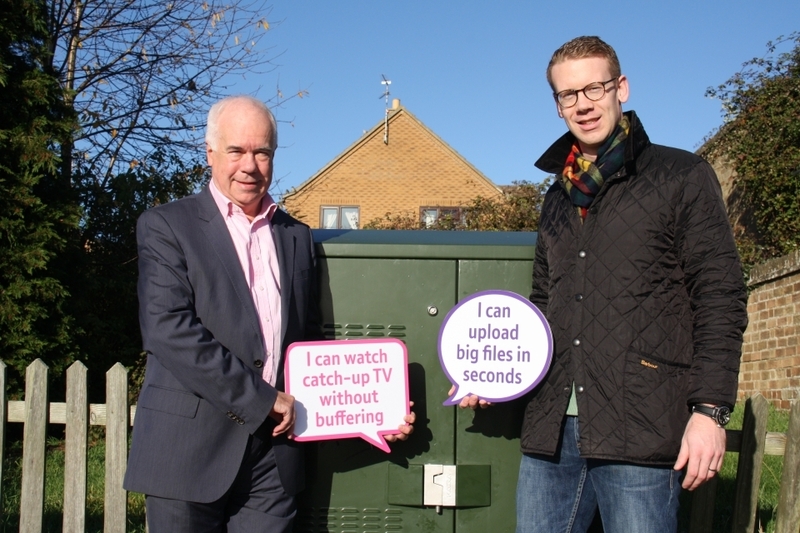 One of those to take up superfast was fellow resident Oliver Clarke: “The initial delays and false starts were frustrating but we now have access to some of the fastest speeds in the country. We have a choice of providers and we can get all of this for the same price as we used to pay for a slow, intermittent service. So it may have taken longer than they would have liked, but the residents of Eshott are delighted with the result. Pictured above, Teachers, pupils – and engineers are looking forward to celebrating an early Christmas present for Dunedin. Residents of Moy, a small, scattered community south of Inverness near Tomatin, took matters into their own hands to secure superfast broadband after battling slow speeds for years. Residents agreed that the best solution was the Openreach proposal to bring superfast fibre to the community, which also means people can choose from a number of different service providers. The community’s part of this project is being funded through community investment, local wind farm contributions, and funding from the government’s Better Broadband Voucher scheme. One small business that will benefit directly is run by occupational psychologist Margaret Saunders. Margaret spends a lot of time travelling as she can’t currently work online or do video-conferencing. Dunedin secondary school in Edinburgh was the first in Scotland to use a new community grant from BT to connect to high-speed broadband. The small south Edinburgh secondary school, which supports pupils who have difficulties with mainstream schooling, had contacted BT to help them find the best way to get a fast internet connection. The scheme gives communities not covered by any private or publicly funded fibre broadband rollout plans the chance to apply for a grant towards the cost of a new local fibre network, as long as the technology is capable of serving the local school. The grant cuts the contribution needed from local communities and aims to encourage people of all ages to equip themselves with the essential digital skills needed to access online services. With the funding in place, engineers will build a new street cabinet, giving the school access to superfast fibre broadband. With speeds of up to 80Mbps, staff and students will be able to stream videos seamlessly and download education materials in a flash. 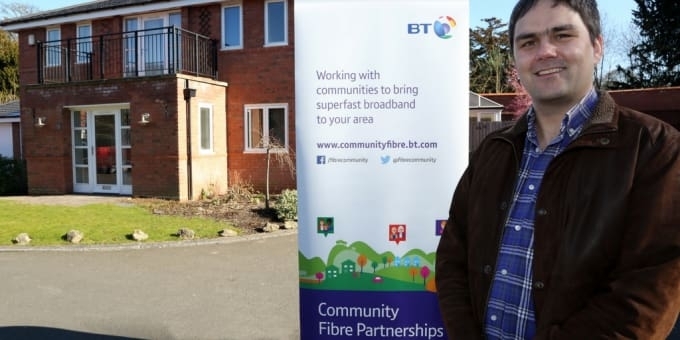 Residents of a small community in rural Leicestershire have been describing the ‘huge and positive’ impact that superfast broadband has had on their lives since they were connected to the Openreach fibre network just over a year ago. 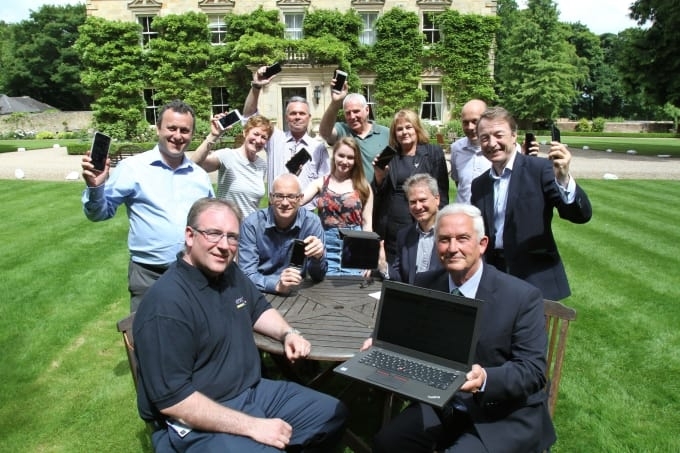 It was back in March 2016 that the Coleorton Hall estate in Coleorton, and the nearby villages of Churchtown and Farmtown, were upgraded to fibre after striking a co-funding deal with Openreach through its Community Fibre Partnership programme. The story began when a group residents living in Coleorton Hall, a grade II listed building that’s been consisting of 12 apartments and 35 other properties, approached Openreach after discovering they weren’t included in any fibre rollout plans. The community and Openreach worked together to reach a solution so that the estate, plus around 120 homes and businesses nearby, could be served by a brand new fibre-enabled cabinet giving speeds of up to 80Mbps. Resident and broadband campaigner David Basten has been thrilled by the outcome. Residents of Churchtown, Farmtown and Coleorton Hall are now enjoying a superfast service on the network which is open to all communication providers on an equal wholesale basis, meaning they can choose from a number of internet service providers. Jon Wohlters also lives in Coleorton. He says superfast has helped to improve many aspects of his whole family’s lives. Jon recommends that other communities who are not part of any fibre rollout plans should certainly consider working with Openreach via its Community Fibre Partnership programme. internet, then the children’s iPads just wouldn’t function properly. Similarly, if I was watching a film on Netflix then my husband would get frustrated because he couldn’t get on with any work. Sometimes none of us could do anything because the connection was so poor. It’s fair to say that, as a family, we felt a great deal of irritation towards the internet,” adds Claire. Claire and her husband run their own video production business. Working from home was often difficult because uploading videos for their clients was an exhausting process. “Uploading a single six minute HD video to a client’s Dropbox would be an overnight job using our old broadband connection” says Claire. “In fact, every so often we’d need to revert to old school methods of delivery like putting videos on DVD and sending them by post or courier. But clients don’t really expect that any more”. Claire, her husband and children were excited when they spotted a ‘Superfast is here’ sticker on the street cabinet close to their house. They shopped around and then signed up for a competitive deal – one that was even cheaper than their previous broadband service. Now with a reliable superfast connection giving the household download speeds of around 27Mbps, the Aindow family are more than happy. Wishing you could get superfast broadband? If you’re in a part of the UK that’s not included in any fibre broadband rollout plans, why not consider having a Community Fibre Partnership with us – so we can jointly fund faster internet for you. Although it would be accurate to describe Kings Cliffe in Northamptonshire as a small village, it’s been growing quickly in recent times. Evidence of this includes the shiny new Sovereign Grange development built on the edge of the village which features a range of homes designed to attract first time buyers as well as larger families. Sovereign Grange community finally received some good news when Sam Schofield met with Paul Bimson, a regional partnership director with BT. Paul told Sam about Openreach's Community Fibre Partnerships initiative and how it could potentially unlock a viable solution for the battle-weary community. “Paul came along and he was a real saviour to us when we were at a low point. He was a continual presence and worked closely with our community to help us get to grips with the Community Fibre concept. He helped us to understand how we could jointly fund a cabinet upgrade with Openreach,” said Sam. Sam Schofield then spearheaded a communications campaign to galvanise fellow Sovereign Grange residents into contributing to a fund. This meant that Openreach could begin carrying out all the engineering work required including installation of a new fibre broadband cabinet and underground cables. Fibre broadband went live in Sovereign Grange in October 2016 making superfast speeds of up to 80 Mbps available to around 350 homes for the first time. “There’s a good feeling in the community right now. What’s more, unlike the rest of Kings Cliffe who are stuck with a proprietary supplier, we are all free to choose who we go with as a service provider,” said Sam Schofield. “The Sovereign Grange community has shown real determination and vision to bounce back from earlier disappointment. I am thrilled that the Community Fibre Partnerships initiative has been able to step in and rescue the situation,” Said Paul Bimson.